This used to be my bike, until I sold it to a friend over 10 years ago. It has come back full circle and my friend has now given it back to me. I love riding the bike but it's been beat up...badly. Rear shock has no rebound and front JUDY's have been replaced by a Marzocchi which bottoms out quite easily. Paint job is scratched as are the stickers. Sadly though I cannot remember what year this bike was made? 1999? Also, does anyone know where I can get some stickers for this bike to replace the scratched up ones. 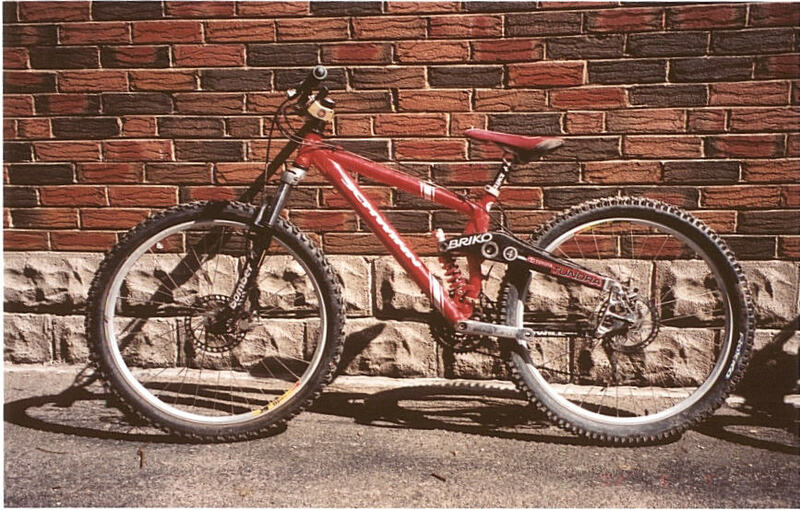 i'd love to put this bike back to what it was like - picture included.